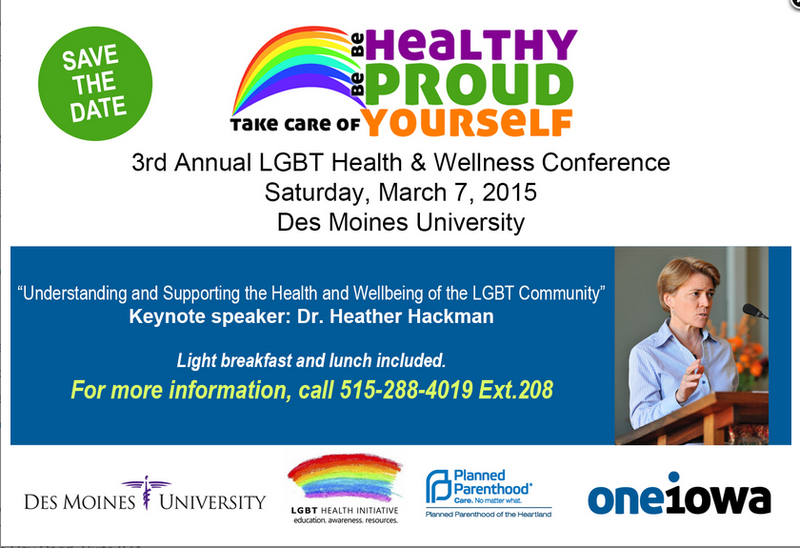 Save the date for Iowa’s 3rd Annual LGBT Health & Wellness Conference on Saturday, March 7, 2015 at Des Moines University. 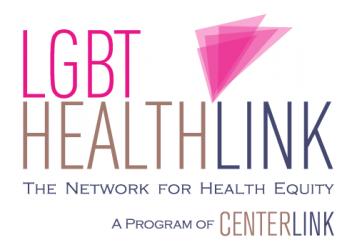 This year’s theme will be “Understanding and Supporting the Health and Well-Being of the LGBT Community” with special keynote speaker Dr. Heather Hackman. Light breakfast and lunch will be included. Sponsored by Des Moines University, the LGBT Health & Wellness Initiative, Planned Parenthood of the Heartland and One Iowa. For more information, call 515-288-4019, ext. 208.